What is Important to Understand & Monitor? Hydrogenation is one of the leading chemical reactions. In a single step, a hydrogenation reaction allows the formation of C-C simple bonds from alkenes and alkynes, C-O bonds from ketones, and aldehyde or esters, and C-N (amines) from imines or nitriles, etc. Hydrogenation is influenced by several factors including type of catalyst, catalyst concentration, solvent, substrate purity, temperature, and pressure. When considering catalyst performance, four parameters are typically considered: yield, selectivity, TON/TOF, activity, and stability. By collecting analytical data continuously throughout each experiment, chemists remove barriers to get the best understanding from each reaction. 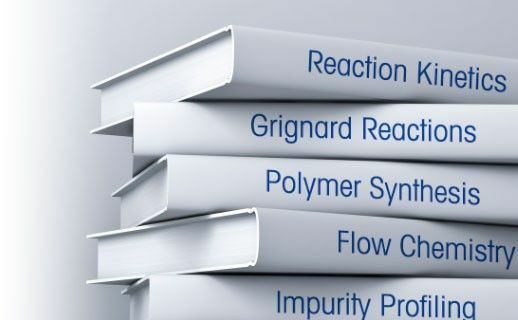 Understanding reaction initiation, mechanism, conversion, and endpoint, as well as impurity or byproduct profile, enables faster decisions about what changes to chemical conditions or process parameters need to be made. Understanding hydrogenation reaction processes can be difficult with offline techniques, which require a sample to be extracted from the reactor while under pressure. Offline techniques are challenged by the instability of reaction intermediates and products, and the delay that is necessary to analyze manual samples. Because of labor-intensive sampling and analysis and delays in results, accurate determination of the reaction endpoint is often not possible by offline techniques. To facilitate data-rich experiments, researchers apply PAT inserted directly into reaction vessels, in situ. Continuous, real-time reaction measurements are applied to gain fundamental process understanding. This is applied to make faster decisions, reduce the number of experiments, and time to scale-up the process; to increase selectivity/yield from almost instantaneous feedback on the direction of the reaction; to reduce cycle time and improve yield by determining the ideal endpoint by stopping a reaction at a specific time point and avoiding the risk of a byproduct formation. 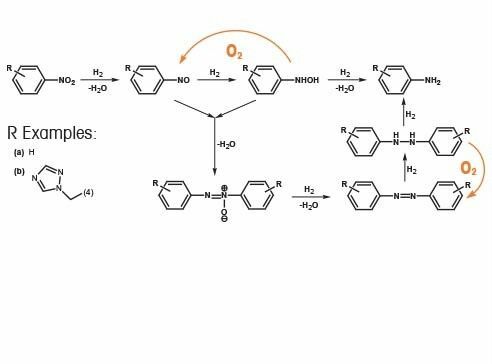 For example, the reduction of nitrobenzene derivatives is commonly used to produce intermediates used in the synthesis of Active Pharmaceutical Ingredients (APIs) and fine chemicals. The selectivity and reactivity of the reaction, leading to various ratios of hydroxylamine/aniline, depends on multiple variables – including solvent type, catalyst, temperature, and pressure. A better comprehension of how these variables impact the performance of the reaction is desirable for process development and control. This graph shows the reduction of nitrobenzene without a catalyst. The components are easily detected and followed by the consumption of Ф-NO2 and the formation of Ф-NH2. Reaction progression monitoring shows fast and immediate consumption of starting material and formation of aniline, with no evidence for the presence of an intermediate. The component concentration profiles are used to determine an accurate and precise endpoint for Ф-NH2 production. Mechanism and kinetics information can be deduced, indicating zero order kinetics for both consumption of Ф-NO2 and formation of Ф-NH2. 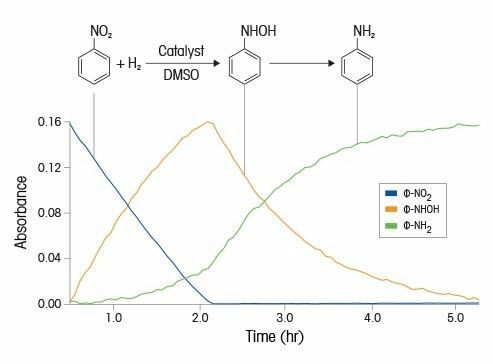 Critical process parameters, such the nature of the catalyst, can be identified that would result in full nitrobenzene conversion, good nitrobenzene yield, and optimized reaction time. In this example, where another catalyst was used, the data displays the appearance of Ar-NHOH as an intermediate, leading to a longer reaction time for the production of Ar-NH2. By applying in situ ReactIR spectroscopy, an accurate and precise endpoint for both Ф-NHOH intermediate and Ф-NH2 product can be easily determined. Mechanism and kinetics information can be deduced from the graph through the shape of the component profiles, indicating there are two kinetic regimes. Zero order kinetics is observed for both consumption of Ф-NO2 and formation of Ф-NHOH, whereas near first order kinetics (with respect to CФ-NHOH) is observed for the delayed Ф-NH2 formation. 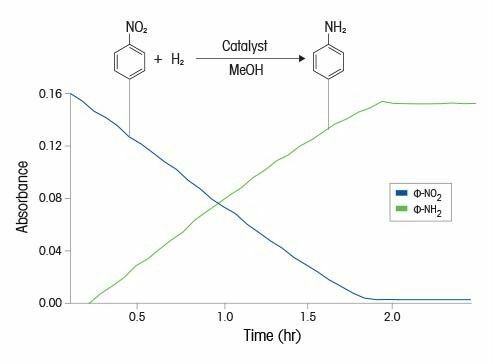 Critical process parameters, such as the nature of the catalyst, are identified, which results in a better yield for the product of Ar-NH2. Although integrating PAT tools can provide comprehensive and continuous analysis of the reaction in real time, critical information concerning low level impurity profiles is limited with these techniques. Offline techniques are considered to be the standard for impurity analysis, but sampling hydrogenations under pressure is challenging and measurement data is often limited. Understanding the mechanism of a byproduct formation requires identifying in which step of the hydrogenation the byproduct is formed, and then determining which parameters cause the byproduct formation. Capturing this information and making informed decisions while working with pressure reactions is explained in this case study. 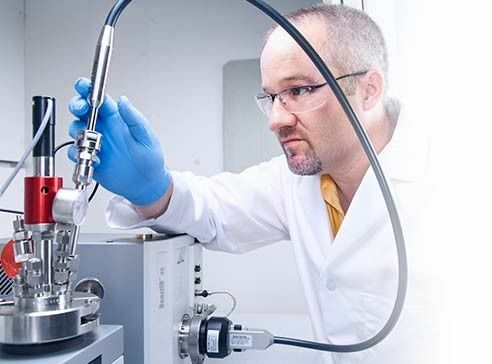 Hydrogenation processes are typically strongly exothermic, which is why a comprehensive safety and kinetic investigation, based on heat flow calorimetry, hydrogen uptake measurements, and online spectroscopy (mid-IR) are conducted before scale up. 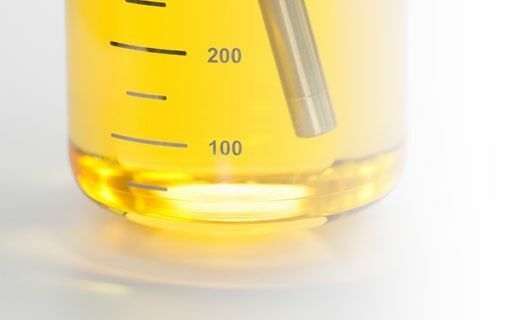 Predicting large scale process behavior, such as temperature or reaction time, and its impact on residual intermediate and impurity levels can be performed in the laboratory using a Reaction Calorimeter. 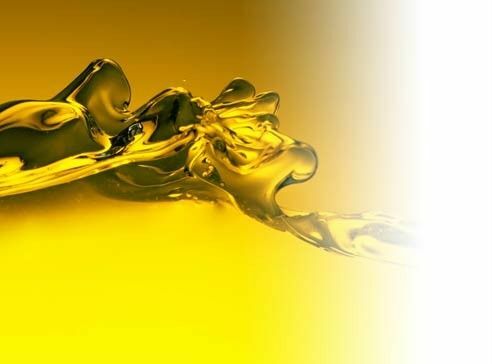 Process scenarios based on mass and heat transfer, as well as full kinetic characterization, can lead to enhanced catalyst stability, optimum process temperature profile and reaction time. M.J. Girgis, K. Kiss, M. Prashad, D. Har, R.S. Yoskowitz, B. Basso, O. Repic, T. Blacklock, and R.N. LandauSandoz Research Institute.